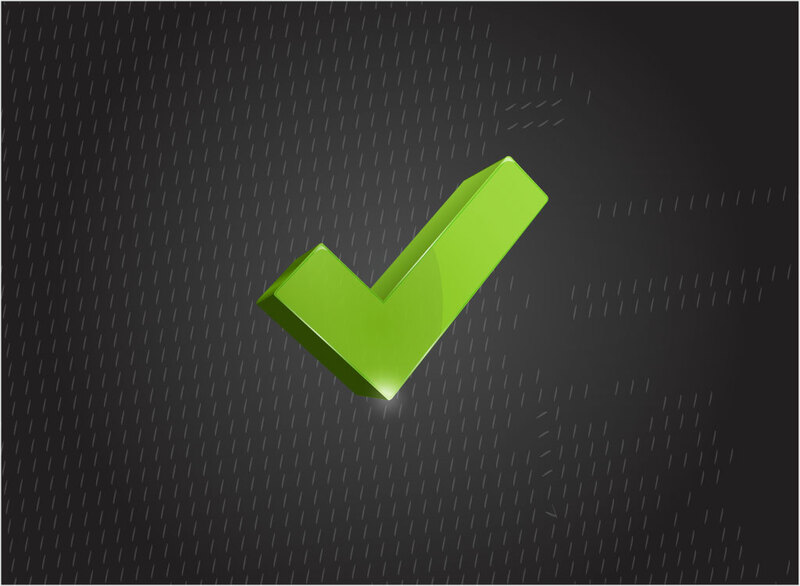 Green vector check mark rendered in a cool 3D style. Highly styled and geometric at the same time. The shadows and highlights are perfectly placed to create enough depth to make it look realistic. This free download will look great with a modern logo, stylish website or custom app. Tags: Approved, Choice, Decision, Exam, Mark, Ok, Option, Right, Survey, Yes.